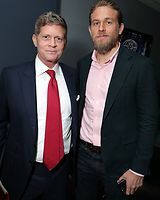 Deadline.com — After completing a long run as the tragic motorcycle club leader on Sons Of Anarchy, Charlie Hunnam is going to play another character who gets lost in the drug trade. Legendary has acquired the 2011 Rolling Stone article American Drug Lord, and they have set American Sniper scribe Jason Hall to write the script as a potential star vehicle for Hunnam. 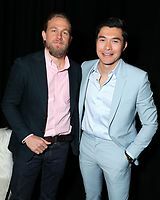 Legendary will produce with Plan B’s Dede Gardner and Jeremy Kleiner and Hunnam. It is based on the story of Edgar Valdez, a high school football player from Texas who would become the only U.S. citizen to rise to the level of cartel leader in Mexico. From his base in Acapulco, Valdez, who brought the nickname La Barbie that was given him by his high school football coach, made $130 million in one year moving drugs from Colombia. He became increasingly feared and allegedly ratcheted up the violence that involved filming the brutal executions of rivals and posting them on the Internet. As the drug riches escalated along with the violence, the rival cartels turned on one another, with the help of crooked cops. Valdez’s life became a struggle to stay alive. Jillian Share and Sophie Sikora will supervise the project for Legendary and Sarah Esberg of Plan B will executive produce. The article was written by Vanessa Grigoriadis and Mary Cuddehe. 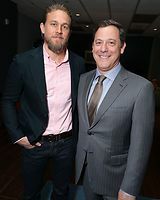 Legendary has bet big on Hunnam as a feature star. 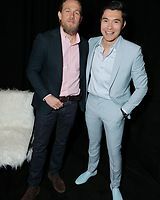 He starred in Legendary’s Guillermo del Toro-directed Pacific Rim and they were working on a sequel. 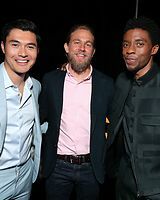 Hunnam will next be seen starring in the del Toro-directed Crimson Peak, also for Legendary. 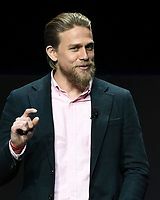 Hunnam, who’s booked to play King Arthur for Warner Bros, is repped by CAA and Brillstein Entertainment. Hall, nominated for a WGA Award and BAFTA for his American Sniper script, is repped by CAA and Management 360.